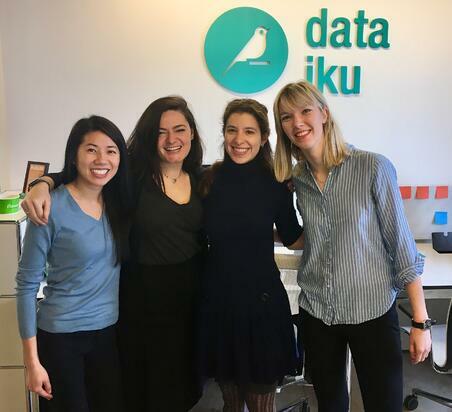 To celebrate International Women’s Day, we brought together just a few of the fierce females here at Dataiku to talk about our role in the world of tech, and more specifically, what we bring to data science and machine learning. (MP) Mariana Prazeres, Automation QA Engineer | Hello there, I’m Mariana! I work as an Automation QA Engineer for Dataiku. I’m generally a very laid back person, I get along well with people and enjoy activities ranging from indoor rock climbing to turning my TV on with my remote control wand on a Sunday afternoon (yes, it’s nerdy, but it was a gift and I love it). (JKH) Jorie Koster-Hale, Lead Data Scientist | I am a broadly-trained data scientist at Dataiku with expertise in health care data, neuroscience, and machine learning. Prior to joining Dataiku, I completed my Ph.D. in Cognitive Neuroscience at Massachusetts Institute of Technology and worked as a Postdoctoral Fellow at Harvard. I currently live in Paris and eat an unreasonable number of pains au chocolat. (AC) Aimee Coelho, Data Scientist | I studied experimental particle physics and I love to travel and try new food. (AS) Alivia Smith, Online Marketing Director + Editor-in-Chief of Banana Data News | I get a kick out of making data science and AI more accessible, finding the coolest data projects and news to get people informed, and contemporary German theater. (AD) Astrid Debauve, QA Engineer | I'm Astrid, I have a master's degree in software engineering. I've been working in software quality assurance for seven years, and I'm now QA engineer at Dataiku. In my free time, I like to draw, paint, and write various stuff; I used to play music, but I lack the time to do it right. I also like biking in the forest and hiking in the mountains. (PS) Pauline Scordel, Customer Success Manager | I have been working in the tech industry since graduating engineering school (with a specialty in business decisions). 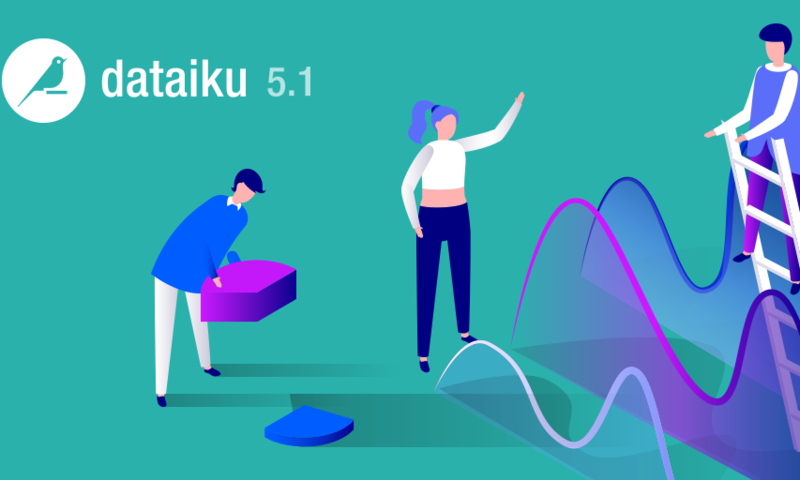 At Dataiku, I like to interact with customers about tech and data science topics in order to provide them with the best possible solutions. Outside work, I love food and wine: eating, cooking, and sharing a drink with my friends. What do women bring to the world of data science and tech (or why do you think these disciplines need more women)? MP: I don’t believe that women, per se, bring anything special to the table. I do believe, however, that within a pool of smart people that can push the industry to the next level, it seems like a bad strategy to push aside half of those people. I believe that there are women in this world with true talent for tech or data science (or both)! Shying away from the industry for whatever reason is what makes me truly sad and wishing for change to happen as fast as possible. JKH: Increasing the diversity of data scientists, whether by gender or any other kind of diversity, increases the range of the ways people think, the types of problems they’re interested, and the experiences they’ll bring to bear on a particular problem. 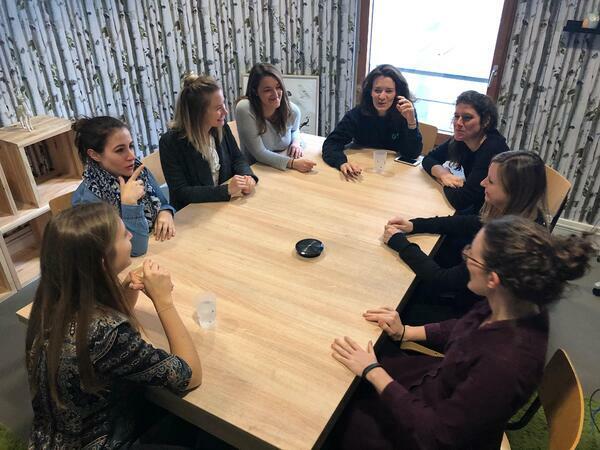 AS: I don't believe that women as people bring any individual qualities to data science - like they would be more calm or sensitive or something. I believe that the need for more women in data science and tech in general is, in the end, a question of diversity and representation of the world. However, in data science that issue of diversity is even more important because the absence of women developing AI and models lead to tech that is intrinsically biased, just as the absence of Blacks has lead to tech that only recognizes white faces or thinks that black people are identical to chimpanzees (case in point). AD: Well, they can bring diversity. Isn't it a little bit sad to work only with guys all the time? PS: Everybody is different - both men and women have a lot to bring to the tech and data science worlds. I started my career in the tech and data science area about four years ago, and I often participate in meetings where I’m the only woman. At first, it made me feel uncomfortable. Then, I felt more confident and I succeed to find my place in these worlds, continuing to learn, listening to people, and confidently bringing new ideas on the table. Having more women in these worlds helps bring more diversity and different ways of thinking to a discussion. "Increasing diversity ... increases the range of the ways people think, the types of problems they’re interested, and the experiences they’ll bring to bear on a particular problem." How can we get more women at the table in tech and data science? MP: I’ve been working in tech for about six years now, and I can see why women may hesitate getting into a male-dominated industry such as tech. I think the key to getting more women to consider the industry as a viable option is very cultural. I feel very lucky at the moment, being in a workplace where I feel I am truly treated as an equal to my male counterparts, but that hasn’t always been the case. For me, the sooner more companies start reinforcing equality and penalizing discrimination, the more women will feel invited into the industry, and it can easily snowball from there into a truly balanced workplace gender-wise. JKH: There’s been a lot of research that suggests that intervening relatively early is critical to closing the gender gap. In elementary school, girls are as interested in STEM as boys, but there’s a growing gap in middle and high school, and even larger gap in college, and even larger on in higher education. So I think as well as intervening at the top (focusing on professional training for women, more equitable hiring practices, etc), we should be intervening when kids are 6, 11, 16, 20 — helping them stay on tracks that will eventually get to tech-centric jobs. For example, many of my male friends in middle school had grown up coding basic computer games and toy robots; very few of my female friends had ever done that. So in our first coding class in 6th grade, guess which half of the class was more comfortable? AS: I believe that to get more women at the table in tech and data science we need to make science studies more friendly toward women. One of my best friends started studying math and gave me a bunch of her fancy clothes because when she went to class and exams her teachers would often tell her that she should spend less time on her clothes and makeup and more on her studies - and I think that's something that a lot of women studying STEM hear or, even worse, internalize. So professors need to be very careful of treating all their students fairly. This environment also leads to these women choosing more business careers even after they study STEM. Having strong female STEM figures present in the media is also important to encourage women to identify to these studies. AD: Please refer to this; it says it all. We have no power here, except maybe in our own families and among our open-minded friends. PS: By having more female leaders into the tech world. We all know Steve Jobs, Elon Musk, etc., but female tech leaders are still too unknown. We need to continue developing the female network within companies and organize more meetups. 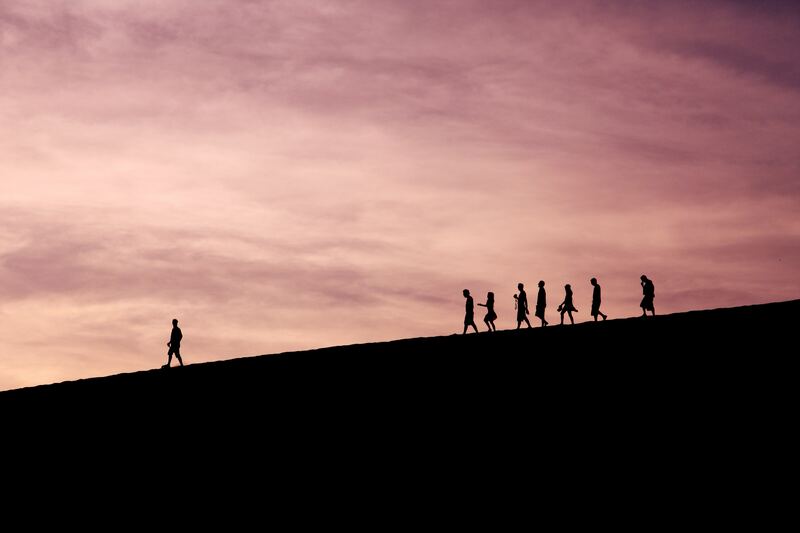 "Female tech leaders are still too unknown. We need to continue developing the female network within companies and organize more meetups." Words of advice for women entering the tech world? MP: In very simple words: be strong and lead the way. It may be hard at times, but the joy of doing what you love tramples all the bumps on the road. 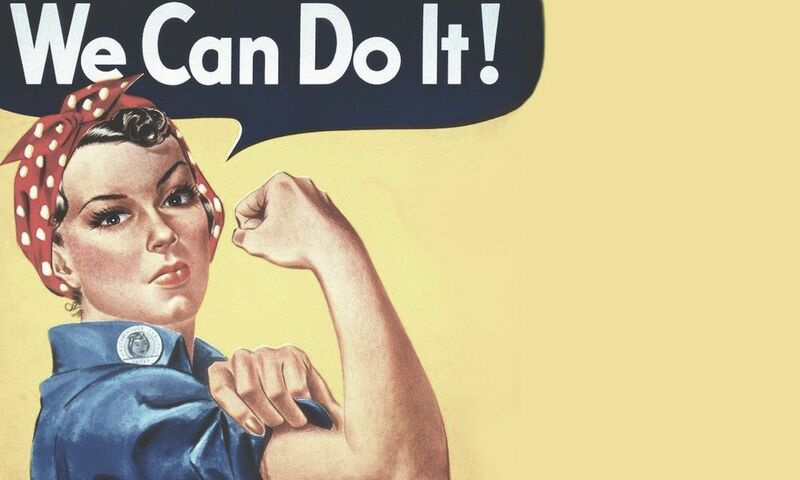 Oh, and don’t forget : Always stand up for yourself, for your girls, and for equality! JKH: It's a cliched answer, but I think a deeply important one —be self-confident. Come into every project, class, interview, meeting with the belief that you are a total badass. Confidence doesn’t mean thinking you’re always right or have nothing to learn. Rather, it means knowing you are good enough to succeed; knowing that needing to learn new things, or failing and needing to try again, or having no idea what to do next isn’t a sign that you’re not good enough; and knowing that you have something interesting and worthwhile to contribute. AC: I would advise women interested in entering the tech world to start getting involved in the community, either online or if possible, by going to events like meetups. You get to learn about all sorts of cool projects people are working on and meet people from many different backgrounds with interesting perspectives on the field. AS: Tech seems like a very female-friendly environment when you first get it in because you're surrounded with young liberal people, and because with so few women around, the few that do get in get a lot of positive attention. My advice is to beware of that friendliness - a large part of tech still has a frat mentality so you need to fight every day to not appear gendered in your work. It's also important to speak up even against things that may appear small and have a strong support network to make your environment more friendly to women. AD: If you are afraid of tech world because there are no women? don't worry! Most IT guys are much more respectful, kind, and clever than the average - you'll never meet such lovely guys anywhere else. PS: Believe in what you do. You're willing to learn and bring your value to the tech world and it's a good thing. Don't feel intimidated if you meet more men than women in tech meetings, it doesn't change anything! Never forget that everybody has a lot to learn and to bring to a company or a customer. This trend is changing, and you are part of the change. "It may be hard at times, but the joy of doing what you love tramples all the bumps on the road."